Was it Gouda For You Too? I have to be honest with you, I may have met a cheese I do not like. I decided to give it another try, buying some pre-sliced Gouda from my local French supermarket. Even on a white plastic tray, covered in cling film, it looks bloody boring. apparently the cheese is dried for a few days before being encased in the wax it is famous for. Depending on age classification, it can be aged a number of weeks to over seven years before it is ready to be eaten. As it ages, it develops a caramel sweetness and sometimes has a slight crunchiness. Yeah, didn’t get that from the four slices I purloined from Carrefour. Now I LOVE the Dutch, their people are as direct as Australians, I have many friends from this flat land, and you have to respect a country that is made from reclaimed land and dykes. They also make these really great meatballs – tiny balls of deliciousness. Sigh. Gouda. It’s the boring boyfriend of cheese – looks all shiny and nice, dig deeper and it’s just bland and well, dull. the cheese equivalent of the guy that when you ask “what do you want to do tonight?” he answers “I don’t know, what do YOU want to do?”. I 100% disagree with this! You aren’t trying the right Gouda! 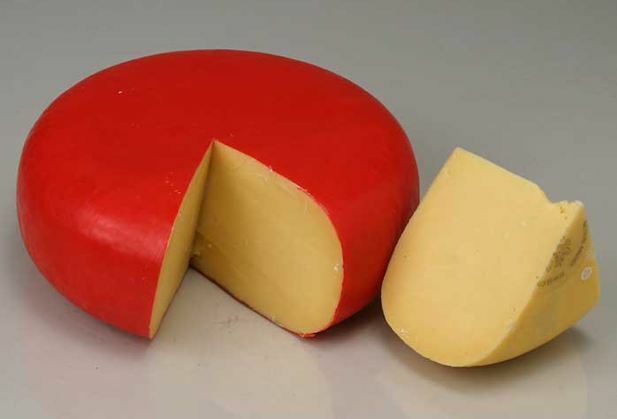 Aged Gouda has a deliciously rich, almost chocolatey flavour, and is really good when salt crystals form. I just bought some aged gouda..will give you feedback! gouda is good…. eat it with grapes or crackers and you’ll be in the ninth heaven!